If you’ve ever watched shows like HGTV’s “Flip or Flop” or A&E’s “Flip This House,” you understand how lucrative flipping a home can be — but you also know how risky it is. Most of the time, the buyer purchases a home at auction, which means they don’t get the opportunity to see the inside of the home. They have to rely on the exterior of the home and online photos to gauge how much the home is worth and how much it will take to flip. If the buyer gets lucky and finds an inexpensive home without any major issues, they’re challenged to remodel it as quickly as possible in order to make the most profit. The longer it takes to remodel the home, the longer the buyer is paying a mortgage, taxes, insurance and utilities for a home they’re not living in. To put it simply, time is of the essence when flipping a house. Luckily, there are a few “shortcuts” to help some parts of the process move along faster. And according to a Reuters article, now is a great time to flip. The article states that U.S. home prices are expected to rise 5 percent this year, 4 percent next year, and another 3.5 percent in 2018. If you want to buy low, now is the time! Here are three ways to get your project off to a running start. 1. Get organized and get permits. As soon as the buyer accepts your offer on the home, start organizing. You should make a list of items and rooms you’d like to remodel organized by priority and assign a maximum budget for each. This will help to finalize your budget and set a timeline; it will also help you identify which projects you can tackle and which projects you’ll need to hire contractors for. Once the sale of the home is final, you should immediately apply for your permits. 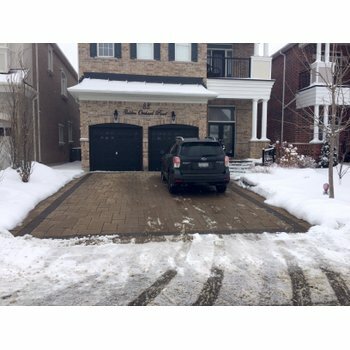 “Not having the right permits, or not correctly displaying permits, can cause serious delays, and fines, from city inspectors,” explains a Money Crashers article. As soon as you have your permits, you’re ready to begin remodeling. By putting this step first, you’ll be on the road to a fast flip! 2. Work on the outside. According to a Fit Small Business article, "How to Make Money Flipping Houses: The Ultimate Guide," it's easy to get distracted by the current looks and appeal of the property. "...try not to focus on the current aesthetics of the house when you’re seeing it in person. Instead, you should be looking for potential room for improvement." When accessing this potential and you’re dealing with a severely outdated kitchen, damaged flooring and a poor layout, your first instinct might be to throw your entire remodeling budget into the interior of the home, but curb appeal is just as important. 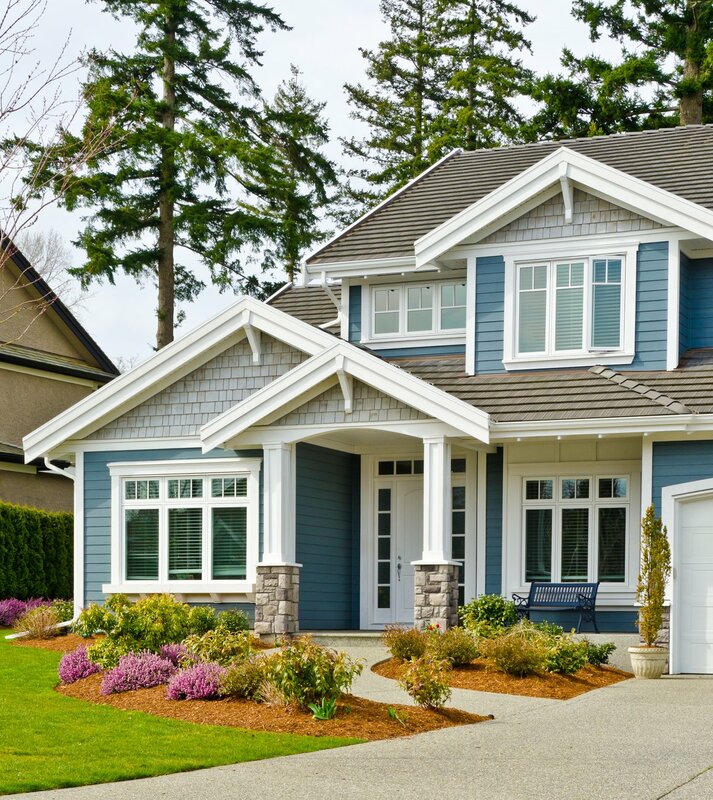 According to a BiggerPockets article, the exterior of the home is key to selling it quickly, so don’t forget to budget for some “sprucing up” of the home’s exterior. Depending on the house you buy, such renovations can include replacing the siding, roof, windows, landscaping and more. However, if you don’t have the time or money to dedicate to fully rehabbing the home’s exterior, there are a few things you can do that won’t take long and definitely won’t break the bank. The BiggerPockets article suggests power-washing the exterior, installing a new mailbox, sealing the driveway, and sprucing up the landscaping, among other small projects. 3. Install heated floors with a membrane. Heated floors deliver a great return on investment, according to a PureWow article. The best time to install an in-floor heating system is when you already plan to replace the flooring — so a “flip” is the perfect opportunity! Typically, it takes about two days to install a radiant floor heating system because the thinset takes some time to dry. However, a cable installation membrane eliminates that wait time. With WarmlyYours Radiant Heating’s new Prodeso Membrane, you can simply adhere the membrane to the subfloor, lay out the cable within the membrane, apply thinset and install the tile — all within the same day! The membrane makes spacing the cable easy and it also provides stability across the floor, which helps to prevent cracking in the tile. By following this advice, you can complete your flip as fast as possible. 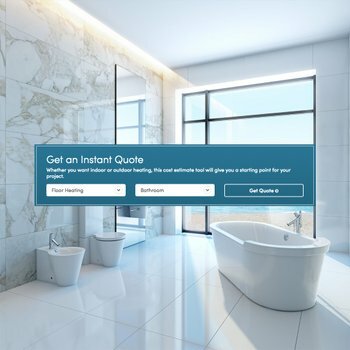 The earlier you finish remodeling, the earlier you can sell, and the more profit you will make! To get more information about heated floors and the time-saving Prodeso Membrane, visit www.warmlyyours.com or call 800-875-5285.